Neeme Järvi (conductor) is the head of a musical dynasty and is one of the world’s most highly respected maestros today. He has conducted the world’s most prominent orchestras and works alongside soloists of the highest calibre. A prolific recording artist, he has amassed a discography of nearly 500 recordings. Over his long and highly successful career, he has held positions with orchestras around the world. He is currently Artistic Director of the Estonian National Symphony Orchestra and Music Director Emeritus of both the Residentie Orkest Netherland Hague and the Detroit Symphony Orchestra. He also holds the titles of Principal Conductor Emeritus of the Gothenburg Symphony Orchestra and Conductor Laureate of the Royal Scottish National Orchestra. Neeme Järvi also has ongoing relationships with the Bergen Philharmonic Orchestra, Swedish National Orchestra of Gothenburg and the Royal Scottish National Orchestra for a number of recording and concert projects. Highlights in his impressive discography include the critically acclaimed complete symphony cycles of Prokofiev, Shostakovich, Richard Strauss, Mahler, Dvořak, Glazunov, Grieg, Sibelius, Nielsen and Brahms. Järvi has also championed less widely known composers such as Wilhelm Stenhammar, Hugo Alfvén and Niels Gade, Franz Berwald, Johann Svendsen and Johann Halvorsen of Norway, and composers from his native Estonia, including Rudolf Tobias, Artur Kapp and Eduard Tubin. Throughout his career, he has recorded with Chandos, Deutsche Grammophon, BIS and EMI amongst others. 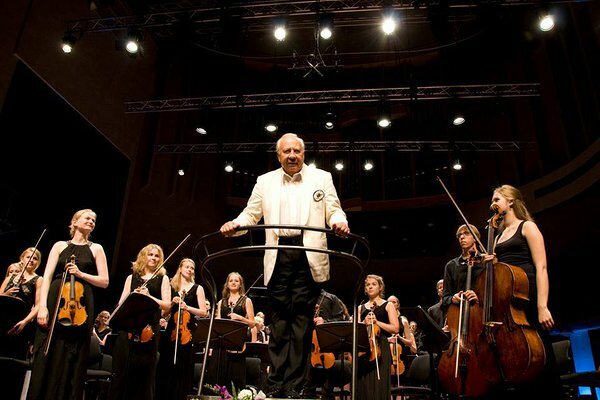 Neeme Järvi has been honoured with many international awards and accolades. 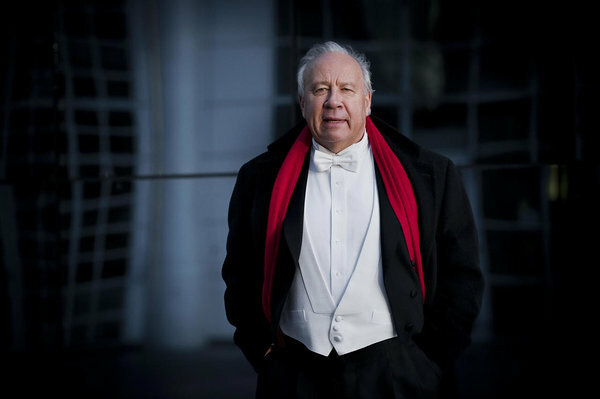 Neeme Järvi holds an honorary doctorate of Humane Letters from Detroit’s Wayne State University and the University of Michigan, as well as honorary doctorates from the University of Aberdeen and the Royal Swedish Academy of Music. He has also been appointed Commander of the North Star Order by King Karl XVI Gustaf of Sweden.